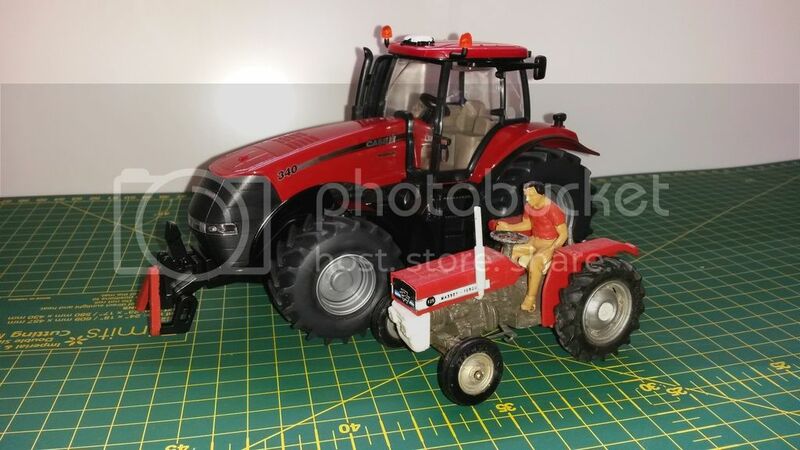 Forum » RC Tractors » First build. 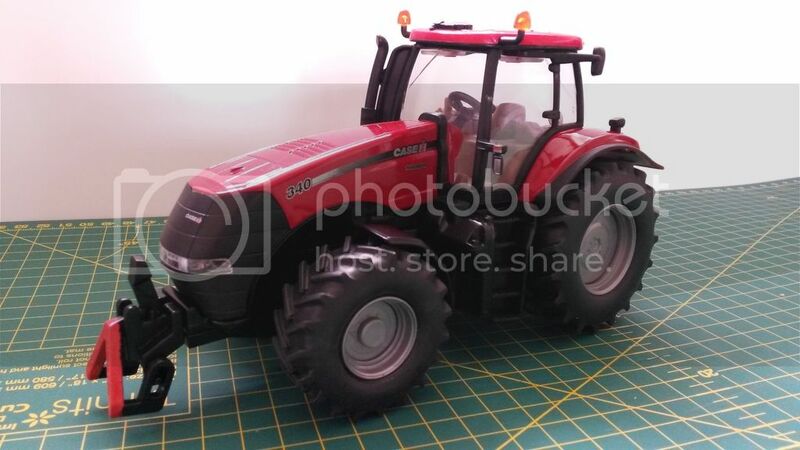 This topic contains 2 replies, has 2 voices, and was last updated by RC Tractor Guy 2 years, 8 months ago. Hi, this will be my first attempt at rc’ing such a small model. I have previous experiance with building various rc models but nothing so small. I chose a Case Magnum 340 just to be different, hope it was a good enough choice. This is quite a big model so should have enough space. Comparason with a Brittans Massey Ferguson 135. I have been watching Tractor Guys videos and it has inspired me to have a go for myself. As this will be my first build it will follow a more conventional route of rcing. I have no experiance with electronics and programming and not sure i would be able, so tx and rx is the way i will have to go for now. 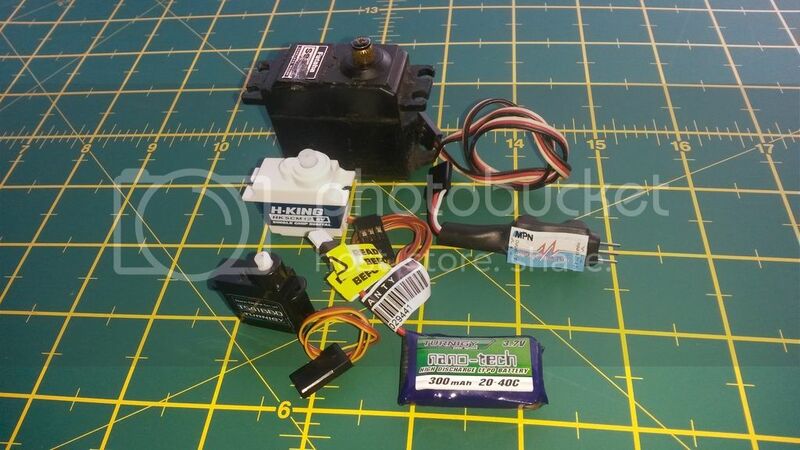 so far i have collected a couple of small servos for the steering and hitch, a voltage booster to bring the 3.7v up to 5v for the receiver, battery is a 300 mah li-po and the large black servo has stripped its gears so i will use the electronics as a esc to run the motor. I have ordered both the Tamiya 4 and 12 gear gearboxs fron Japan but im wondering if i should maybe go for a Siku control 32 drive. What would be best ? Want to wait until i get the drive units before i get started to the Case, will update when i make some progress. Just a little update, i bought a Tamiya 12 speed, Tamiya 4 speed and a Siku gearbox as i didn’t know which would fit the best. As it turned out the 4 speed was the best fit. After a lot of grinding i got the gearbox fitted. 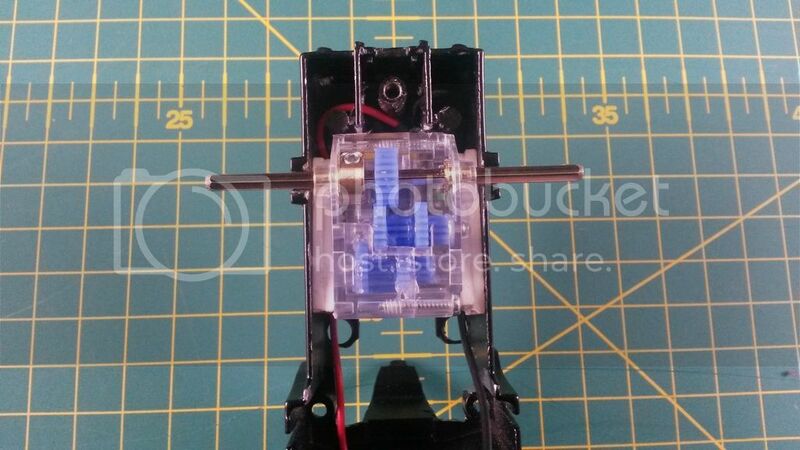 Also got the steering servo fitted into place, it was a bit of a squeeze but i got it in. This is a great build, I can’t wait to see how the conventional electronics fit into the small model. Thanks for sharing your build here. 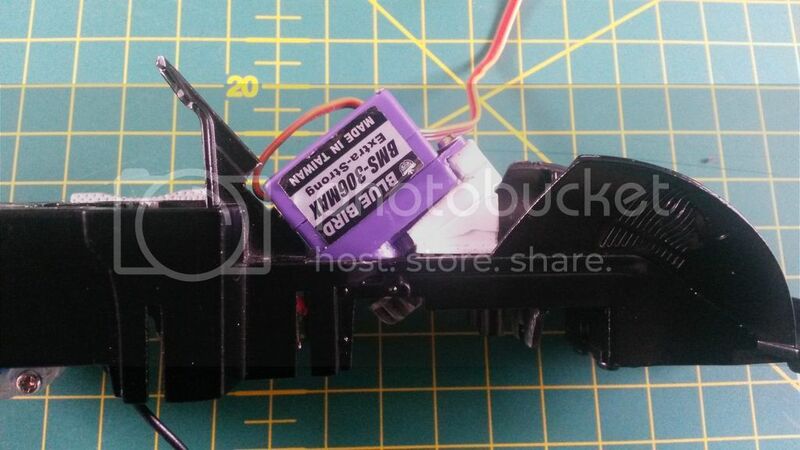 How did you connect the Siku steering gear to the servo? That is something I usually have trouble with.